Penelope Fitzgerald is an author whose work I have just begun to read. 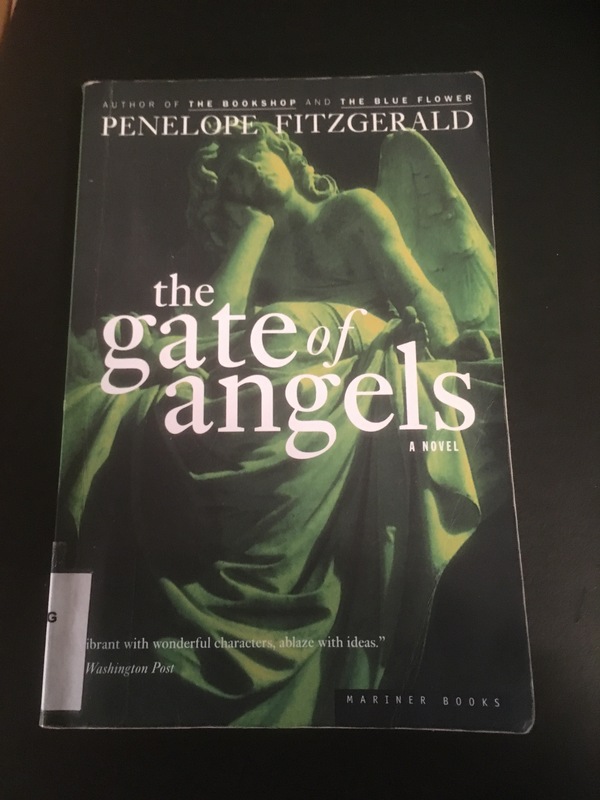 I reviewed The Bookshop a few weeks ago and this past week I have finished The Gate of Angels. Set in Cambridge in 1912, just before World War I, The Gate of Angels chronicles how an adventure of love. Fred Fairly is a junior fellow at the fictional College of St. Angelicus. A student of science, Fred has realized that he is no longer a Christian. A true believer in science, Fred has come to believe that science will eventually explain all mysteries previously accounted for by God. This causes some consternation with his father, the Rector of a small parish. His father’s only request regarding this change of beliefs was that Fred should not discuss it with him. The object of Ted’s affections is Daisy Saunders, a young woman from south London who had ended up working in a hospital in Cambridge after her studies in nursing were cut short by having discussed a patient with a journalist. Daisy and Fred were in a cycling accident coincidentally(?) and were assisted by a couple who, thinking they were married, put them in the same bed together. Fred is not completely convinced that their meeting was coincidental and so his faith in science is shaken. Perhaps there is something more. This short romantic adventure uses humour and irony to ask fundamental question about belief and about love.